Plot: George Valentin is the biggest silent movie star in 1927, but the advent of sound sees his downfall and the rise of Peppy Miller. Without a doubt, Michel Hazanavicius’ black and white, silent film has to be one of the most unlikely awards season frontrunners ever. This is a film whose basic content is so anathema to the conventions and expectations of the mainstream that one cinema in Liverpool has seen fit to refund customers who were bemused to discover that the film has no dialogue (almost), is in black-and-white (which we all know is obsolete and of absolutely no worth) and only uses a portion of the screen made available to it (the film was shot in the classic Academy ratio to cement its nostalgic feel). Certainly, its wider success has shown that large audiences are attracted to its deliberately anachronistic charms. This does not show a reawakening of a forgotten love for silent film. It shows that there can be great results, both critical and commercial, when someone has the courage, as Hazanavicius did, to use old techniques, which seemingly have long since lost their commercial appeal, to tell a story in the best way possible. Of course, silence is not the only tool Hazanavicius is drawing on. This is a film which has the whole history of cinema to guide it and doesn’t mind picking out the best bits. It has all the pizazz and joy of Singin’ in the Rain mixed with all the bitterness of Sunset Boulevard, set, as those films were, in the time of one of Hollywood’s darkest chapters, namely its hideous treatment of silent movie stars as it moved into the age of talkies. It portrays this in a manner which deflects a lot of attention from the conduct of the studios. Yes, George Valentin is treated harshly and poorly by his studio (Jean Dujardin), but he is more than culpable for his crippling pride which exacerbates his downfall. That downfall is the driving force of the movie. Valentin is the eponymous artist who wakes up one morning to discover that audiences no longer want his craft. He attempts to prove his enduring worth, but the world has left him behind, and his only hope is the rising star whose ascent he started (Bérénice Bejo). The story is a simple enough tale of rise and fall, dreadful pride and slow-to-be-realised romance. What keeps us engaged is the charisma of actors, director and, believe it or not, the film’s soundscape. Dujardin and Bejo are great screen presences. Dujardin’s face never mugs. It acts as if we could hear the lines, only we needn’t have dialogue: it’s all in the eyes and the smiles. Bejo, meanwhile, is a lovely female lead: charming, beautiful and utterly engaging. They are capably supported by the grandfatherly James Cromwell (who hasn’t been this empathetic since Babe) as Valentin’s faithful butler Clifton, and John Goodman as a studio boss with his eye on the prize. And, of course, there is Uggie the dog, who really does steal the show. 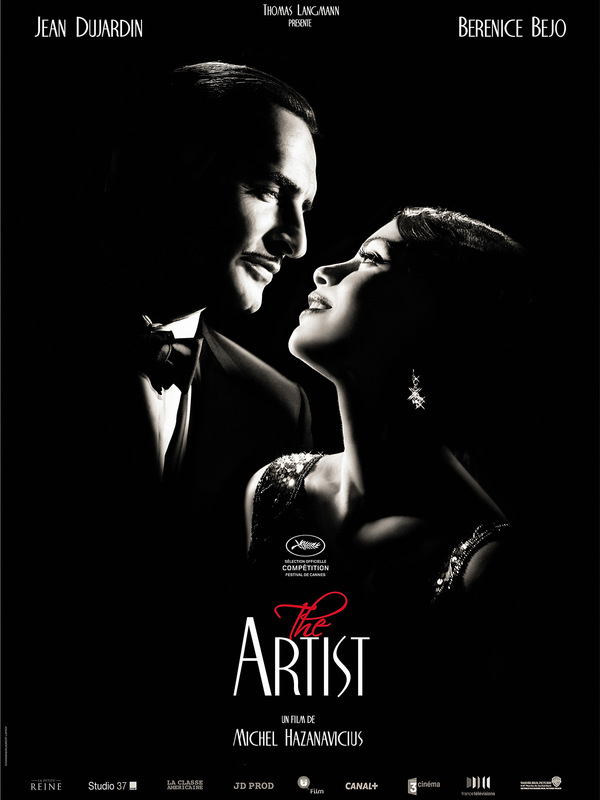 However, they flourish in the unique vision of Hazanavicius who (and perhaps I should have mentioned this earlier) has not made a silent film, in the strictest definition of the term. Aside from the obligatory score, which is an excellent piece of work from Ludovic Bource, there are sparse but powerful uses of sound, particularly in a very effective dream sequence, which are well-deployed. What Hazanavicius has made is a film in which silence is a key component in telling a story set in a very distinct period, and it is an entertaining, funny, moving, bold and spine-tingling film at that.